My first year starting bonsai, winter care seemed the most intimidating aspect of keeping trees in Minnesota. 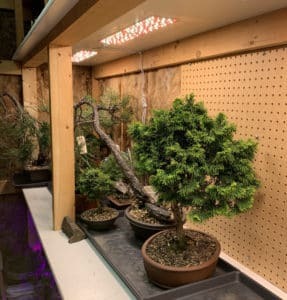 Unless you only keep tropicals, winter protection for your trees is a necessary part of caring for bonsai in Minnesota. My first year of bonsai I stored my tree with Lionel Flood (he offers this great service) for the winter, but I knew I had to build a cold frame if I wanted to expand my collection. I toured a lot of members cold frames at the member tour and got a lot of great tips from experienced members. I hope this article helps and you find that winter care it isn’t scary or intimidating at all. Left Image: Newly constructed cold frame. Wood bench and shelving line the back wall. 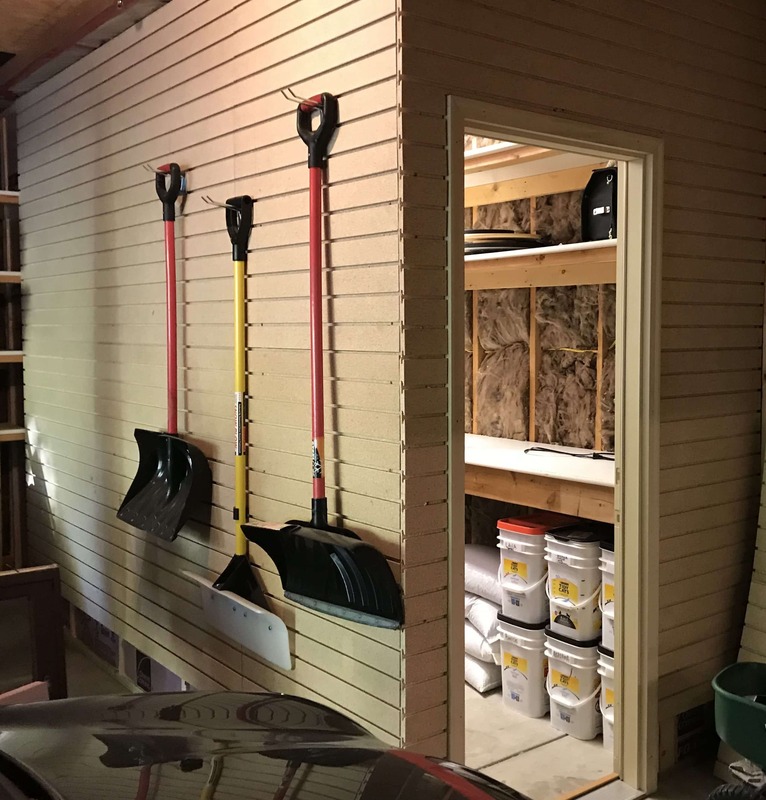 14″ deep wire shelving (not seen) runs along the long wall opposite the bench (behind the shovels). 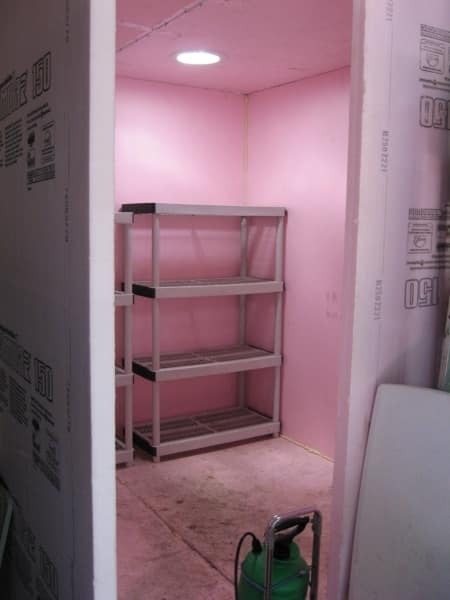 My first cold frame was 4′ x 4′ x 8′ pink foam room in my garage (similar to this) which worked great, and my trees made it through the winter! After that first successful winter, I acquired more trees that year, lots of trees, and I quickly realized that my cold frame was not going to cut it anymore. I then decided to build a larger, permanent structure at the back corner of my garage. It is an insulated 6′ x 12′ x 8′ room, built with 2 x 4’s and slat board on the exterior. My advice would be to build it larger than you think you need it. Image Right: Newly added LED lighting for conifers and peg board was added to back of the bench to store tools. Below are the items I use to keep my cold frame warm for the winter. I keep the setting at 36F with a 1 degree difference. This keeps the hardier trees closer to the floor at 34F and everything on the main bench at 36-38F. I like that the temperature gauge is waterproof with a 4 foot cord. I have the gauge placed in the exact center of my cold frame, about 3 feet above the ground. I also have the heater placed 5 feet away from it, and the heat directed away from the gauge. I don’t use the cooling side of the outlet, but it could be attached to an exhaust fan to bring cool outside air in the room when the temperatures are too warm and you don’t want your trees to come out of dormancy. 2. Heat: I opted for a milkhouse heater, my biggest concern (and nightmare) was burning down my garage and having to explain to our insurance company what I was doing in my garage. So this seemed to be the safest option for me. I keep a 2 feet clear space around the heater and keep it at the lowest setting. I also don’t have it blowing heat at any of my trees. The Inkbird (above) has a 1100w max, so choose a heater that doesn’t go over that setting if you purchase the Inkbird. 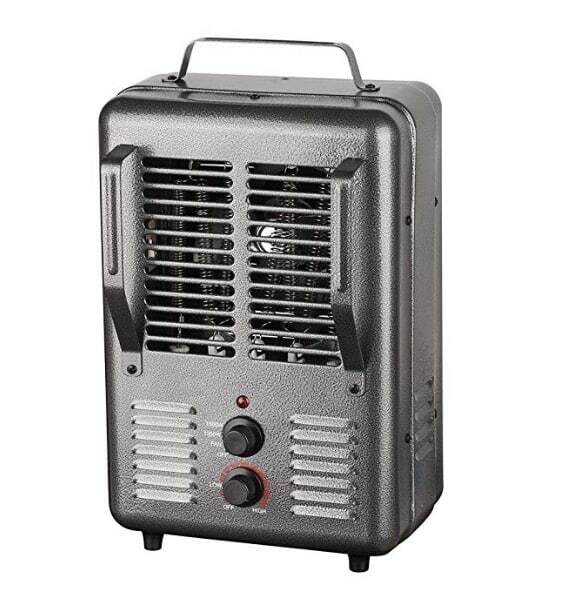 Tip: Oil filled heaters work great since they don’t blow hot air. 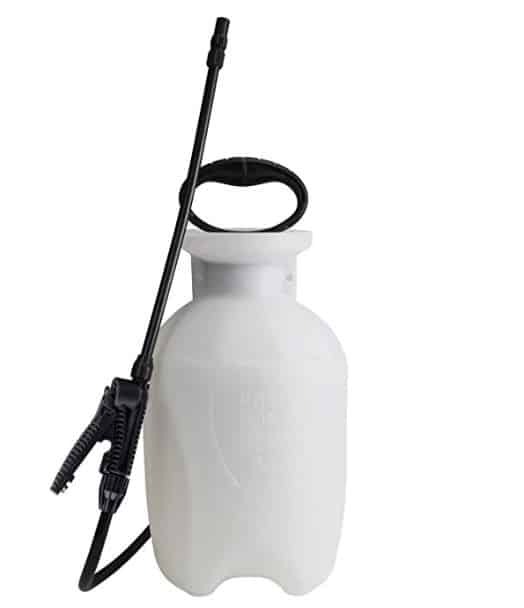 This is key for air movement to prevent mold and fungus. This will also keep the air temperature more consistent throughout your cold frame too. Do not point these directly at a tree since it will dry it out and possibly kill your tree. I have two of them wall mounted and periodically point them in different directions. 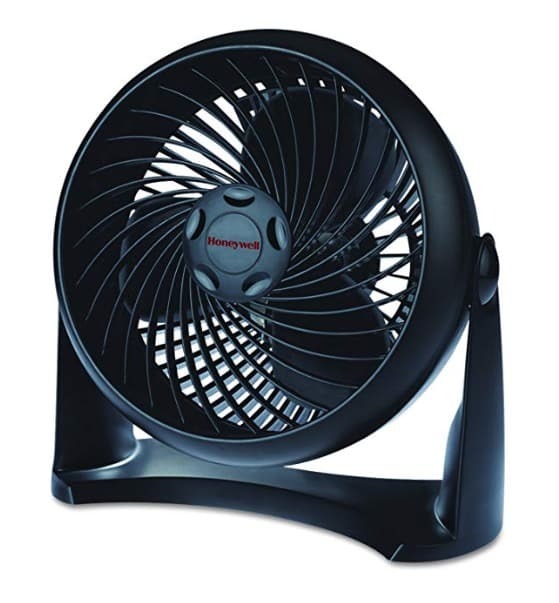 An oscillating fan would work great too, just ensure it doesn’t constantly blow directly on a tree. Tip: Ensure you remove all dead leaves from the trees and container surface before placing them in the cold frame. You can also spray your cold frame with a fungicide before bringing your trees in. 4. 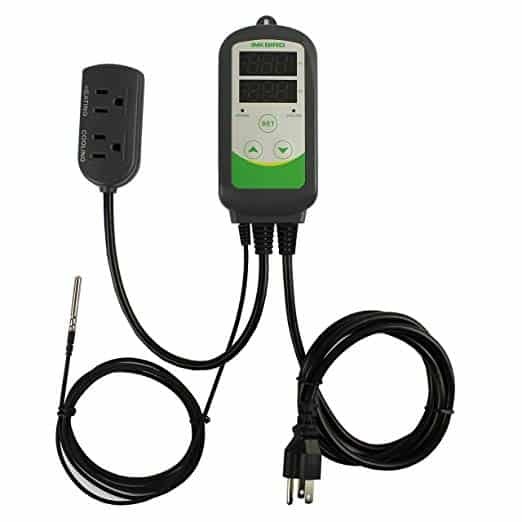 Temperature Sensors This gives some peace of mind knowing that your trees aren’t freezing or getting too hot. I have one of these on my bedside table and another placed in front of a interior security camera that I can view from work (over kill I know). I have the sensors placed in two locations in the cold frame, one closer to the ground and the other one placed on the main bench. 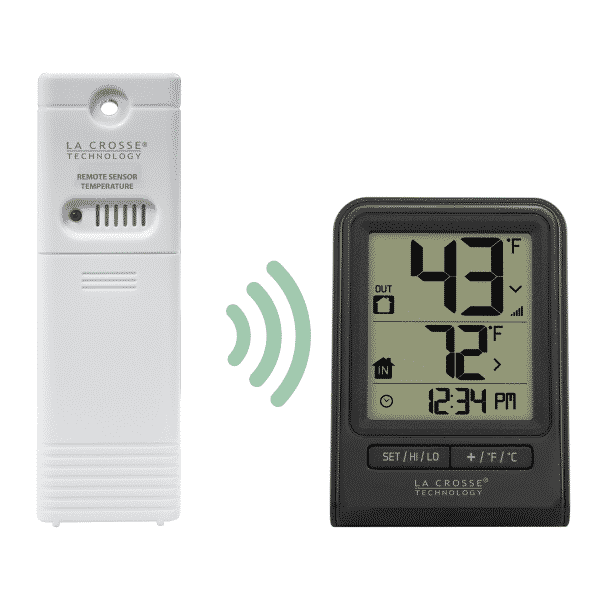 Tip: If you have more than one sensor, ensure the settings are different so they don’t communicate with the same sensor. Watering your trees over the winter is still necessary. You don’t want them to dry out but you don’t want them soaked all winter, you still need the balance of water and oxygen. 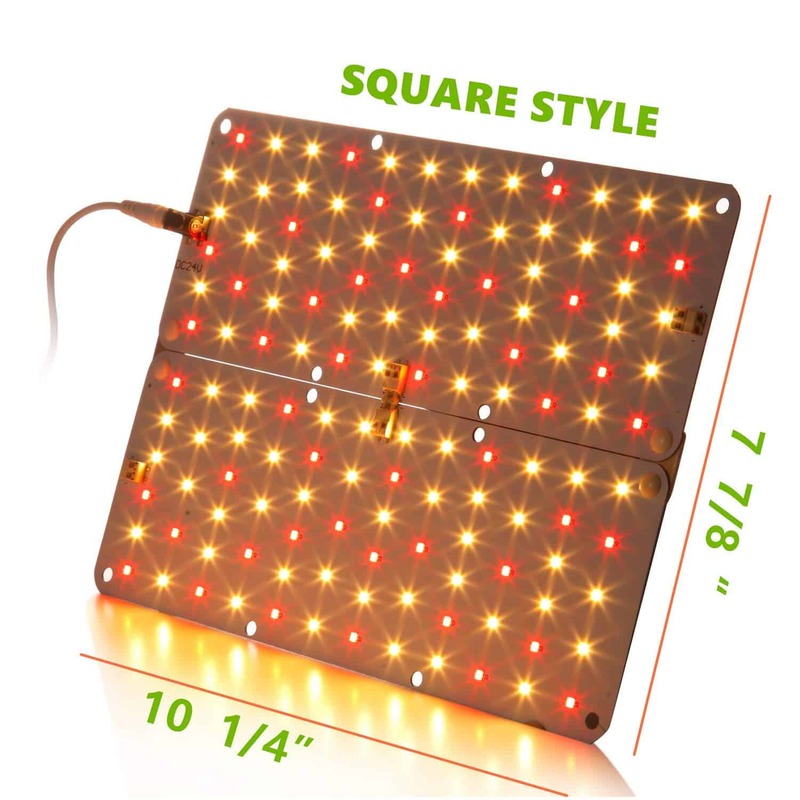 On average, it seems that watering once a week is fine, but that changes on how often my heater kicks on. I keep a few 1 gallon jugs constantly filled. Tip: Ensure your water is acclimated to the cold frame temperature before watering any of your trees. When possible I try and keep the water with the top off in the sun to help purify it. I recently upgraded my cold frame and added LED lighting. I have lots of conifers and have heard they slowly seem to suffer without the light. Deciduous technically don’t need light since the foliage is gone for the winter, but I have heard they do better with light over the winter. I use a manual timer to slowly decrease the light until December and increase it slowly until April, hoping this will transition them better when I bring them outside in the Spring. Make sure to put them in the shade for a few week when you bring them out in the Spring! That’s it! I hope this helps you get started building your cold frame. 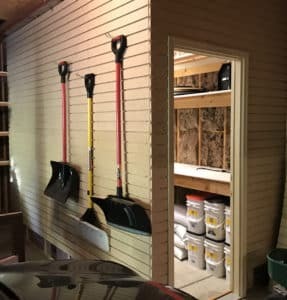 Comments are open for this post for other cold frame tips and questions.